This week brings our annual quilt retreat with about 12 of my quilting friends. My sister will also be coming down from Sacramento to join us. I am looking forward to seeing her. We will all meet on Thursday afternoon for four days of sewing, eating, and catching up. I have a couple of projects I will be working on. One will be my UFO for June, Crab Apple. I spent Sunday cutting out all the pieces. 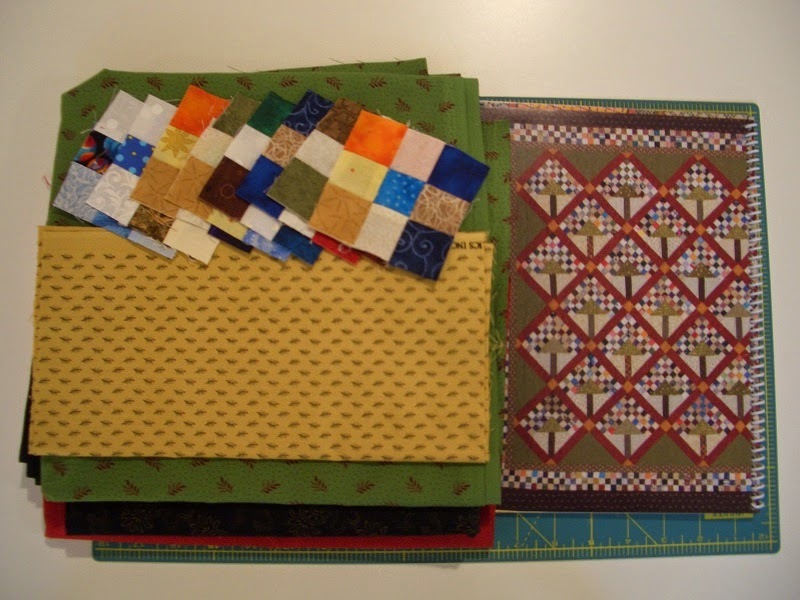 The nine patches are done, and all the pieces are ready for paper piecing the trees. One more fabric to find is a brown for the inner border, will check my stash first! 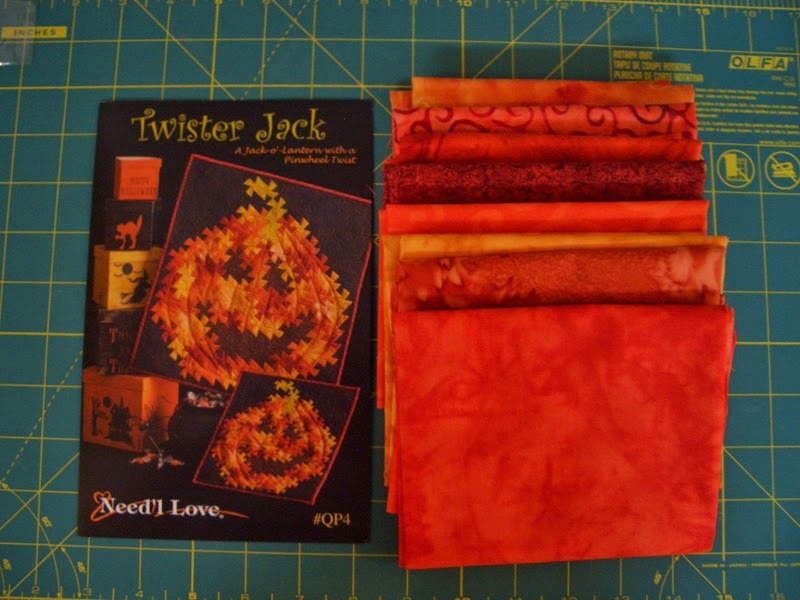 Next I will be working on Twister Jack, another UFO for this year. Looking forward to using the Twister ruler for this one. I will also bring Five and Dime, a project that I mentioned in my previous post. Yes, I always bring more than I could possible finish, but it will be fun to try! What will you be working on this week?